We currently operate two different types of floatplanes: the DeHavilland Beaver and the Cessna 206. 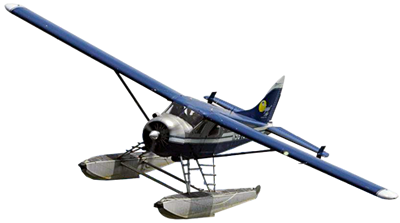 The DeHavilland Beaver is known for its large overpowered radial engine that is key in working short distance take off and landing waterways. The Cessna 206 is also a great floatplane, able to fly faster than the beaver this is a great option for lighter loads, surveying work, and flightseeing tours. Regal Air operates our float equipped aircraft during the summer season (usually May – October) for whatever your air taxi or aircraft charter needs may be. Alaska is the largest state in the United States, and the least accessible by road. For this reason Alaska has a close relationship and long history with the float plane. Since the beginning of aviation pioneers in Alaska have used the float plane for the main mode of transportation. It has been instrumental in the exploration and development of hard to reach places throughout the state. 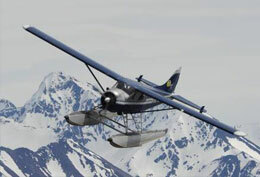 The float plane is still a great option for transportation due to the number of lakes and rivers spread across Alaska. Regal Air has been flying float planes in Alaska since 1982, and we have a vast knowledge of float plane accessible lakes, rivers, and ocean beaches throughout the state. 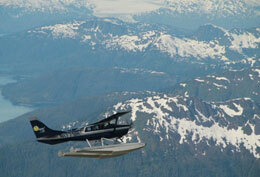 Let Regal Air handle your Alaska Floatplane and Seaplane Charter needs.